Some of the first trails through the mountainous, wild countryside surrounding present day Houston originally consisted of game trails and traplines established by both the Wet'suwet'en and settlers. These traplines generally followed the rivers and the creeks, and often criss-crossed from lake to lake. Eventually some of these Indian trails were lost, others became pack trails and wagon trails. Some of them became sleigh roads for winter travel only. travel north from Vancouver and then northwest overland from Quesnel via Fort George or Vanderhoof to Houston, or take a steamboat up the coast from Vancouver to Prince Rupert, travel by riverboat up the Skeena River to Hazelton, then travel by foot or horseback along the Telegraph Trail to Smithers, Telkwa, and Houston. Most people chose the coastal route. 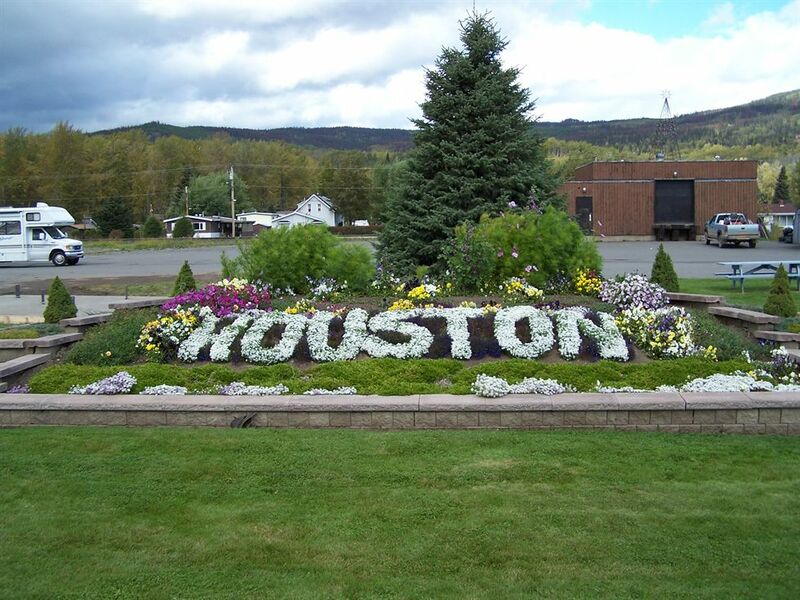 It took about three days to travel from Hazelton to Houston. Around 1900, North Bulkley and Barrett were linked only by the Telegraph Trail, which was roughly located along what in 1998 is the Summit Lake Road. North Bulkley lay about seven miles east of Houston, and this was where many of the earliest settlers made their homes. The McInnes brothers in 1917 cut a winter trail from North Bulkley to Houston. Nancy Goold remembers that the road did not go through to Prince Rupert until during the war. One could get to Hazelton and Terrace, but that was as far as the road went. Travel to and from Prince Rupert was by river until the road was developed. Until the 1960s a trip from Houston to Smithers or Burns Lake was a long and bumpy affair. Paving the highway between Smithers and Houston was completed in 1961. The Buck Flats route has been in existence since the early 1900s. It was used by Arthur Shelford around 1910 to enter the Ootsa Lake country. In 1911 early settlers like John Swanson, Eric Johnson, and Emil Widen were among the first to live in the Buck Flats area. A Houston map of 1917 shows that Buck Flat Road began at the Davis home on Butler and Riverbank, headed west and then south at what today is still the Buck Flats Road. In 1956-7 the Buck Flats Road was upgraded by Harry Hagman to improve forest access into the Parrott and Sam Goosly (also called Zumgozli) Lakes area. 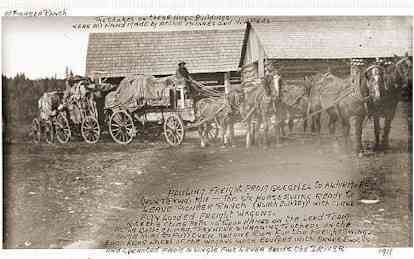 As early as 1910 there had been pack horse traffic into the Morice Lake/Sibola area by prospectors. A winter sleigh road had been built in 1929 to access mining activity around Owen Lake. Prior to 1953 it was a public road also known as the Owen Lake Road. In 1956-57 about half a million dollars was spent by the B.C. government on the Morice River Road. 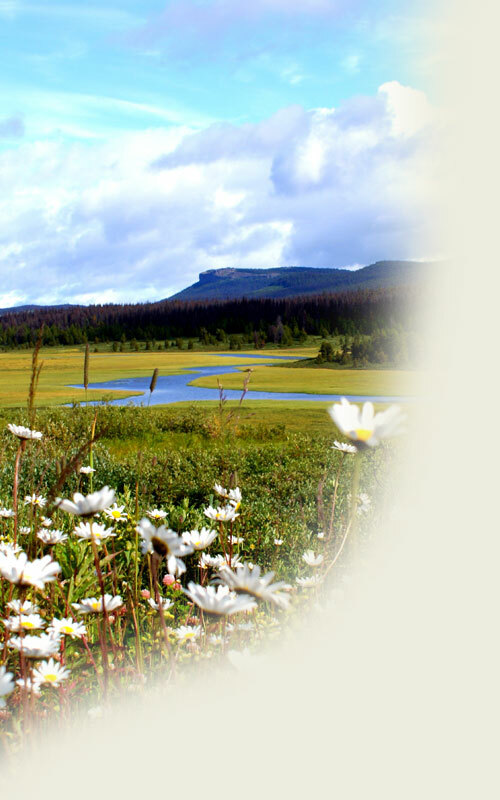 This was a Forest Service project begun in 1954, when existing trails and winter roads built for mining access were upgraded to allow for an expanding logging industry. It was once again established as a public highway in January 1969. The Owen Lake section was upgraded in the spring of 1978. 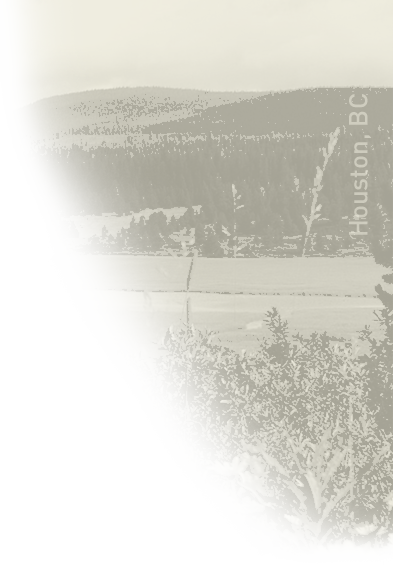 By August 1969, the North Road linking Houston and the Babine Lake area, including the overpass crossing both the highway and the railway west of Houston, was under construction. This road has been used mainly by logging traffic, reducing much of the wear and tear by loaded logging trucks on Highway 16. The Chamber of Commerce, in reviewing 1971, noted that "time and again letters were sent to the Minister of Highways, asking and demanding that the Topley - Granisle Road be paved and finished as soon as possible, with the result that finally word was received that most of the road will be paved this year, with the exception of some parts that have to be reconstructed." The project was completed in 1972. First built in 1978-79 to access the ore body at Equity Silver Mines, 23 miles south of Houston. In 1984 Houston received $250,000 from Equity Silver Mines with which to upgrade Butler Avenue. The mine trucks carrying concentrate used this route, and Butler Ave. had suffered significant wear and tear as a result. Equity Silver was not included in the Houston tax base, and although Council lobbied for years to have Equity included, it succeeded only in receiving grants in lieu of taxes from Equity. There has been access into the Sibola area, where the Huckleberry Mine is located, since before 1912, when gold was first discovered in the area. Since then there have been numerous trails and upgrades of trails. However, when the Huckleberry Mine was built in 1997, the road was upgraded and extended to allow for the greatly increased construction and mining traffic to the area. Huckleberry Mine is located 54 miles southwest of Houston.